Next weekend at Walton Arts Center three musical groups will face off in a Battle of the Bands like you’ve never seen it before! Artists from different decades with significantly different styles will compete in hopes of becoming the best of the best at Walton Arts Center. Our second musical act battling for the crown is The Australian Bee Gees Show. If you like romance, nostalgia, dancing and disco, this is sure to be the group you'll root for! This band pays tribute to four decades of songs written by the Gibb brothers a.k.a. the Bee Gees, including well-known songs like “Staying Alive” and “You Should be Dancing.” On top of that, there's a flashy light show and LED screens that really make you to feel like you’re back in the good ole days... the 70s! 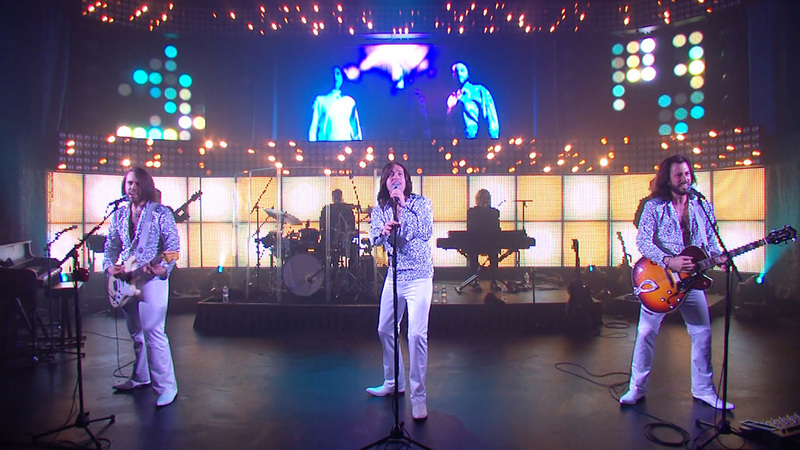 Grab your bell-bottoms, get up and boogie down with The Australian Bee Gees Show on Friday, Feb. 27. And last, but not least, is the most contemporary of our competitors. Prepare to get pitch-slapped on Saturday, Feb. 28 by a sing-along version of “Pitch Perfect,” which tells the story of a group of ladies well-versed in competing in vocal battles. Using their voices to emulate instruments and harmonize contemporary tunes, this a cappella group is full of sass and ready to bring it! By mashing up pop songs we all know and love into something original and cutting edge, these ladies will make you laugh and want to sing-along! Lucky for you, we have the lyrics for you to follow along with on-screen. Grab your BFF and practice your do-re-mi's…’cause it’s going to be a sing-off like no other! Now that you’ve gotten to know the competitors, you’re going to have to help us choose a winner! It is going to be tough deciding between these talented artists, so get your tickets for next weekend’s shows and decide, once and for all... who will win the Battle of the Bands? Tickets to all of these shows are on sale now! Buy tickets here. *Please note that this is not truly a Battle of the Bands, but rather a collection of various musical performances that will be held at Walton Arts Center this month. No competition winner will be chosen.